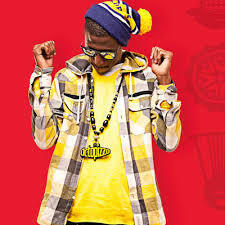 Popular Kenyan HipHop rapper and entrepreneur Henry Ohanga who is commonly known to many as Octopizzo or Namba Nane Beiby is a Kibera bred rapper who made it from grace to grass and he is currently at the top of his game, producing hit after hit. The something for you hit maker recently took shots at some local musicians claiming that they are poor live performers. This comes at a time when most fans were disappointed at the performances that were showcased at highly-rated Mashujaa Pool Party. At the look of things, he was directing his words to specific musicians who mostly performed during the Mashujaa holiday, the likes of Rabbit, khaligraph, Bahati, Wyre etc who rarely use bands during their live performances. Here is what he said thorough his social media account.